Halfmoon Bay real estate shares this small community with five regional parks and envious tourists who come to be pampered in the plush local accommodations. Bed and breakfasts and a resort are all highly rated by guests who have enjoyed everything from luxurious tent suites to charming, cozy rooms; always surrounded by the beauty of this area. The beauty of Halfmoon Bay real estate must inspire creativity and artistic expression. Two art galleries in town include work of local artists in their stock. Local crafts such as painting on driftwood and stained glass are displayed along with acrylics, watercolours and more. The hub of activity in town is Halfmoon Bay Heritage General Store. If you want to do general shopping, mail your letters, treat yourself to ice cream or purchase the ingredients of your favorite alcoholic beverage, this is the place to come. A previous postal worker had to row out to provide mail service to passing steamships on Priestland Cove, which was later named for her. Halfmoon Bay is recognized for the exceptional fishing on the waters here. Anglers try their luck and patience for red snapper, flounder, cod and salmon. You can find prawns and crab as well. There are several marinas for boaters. 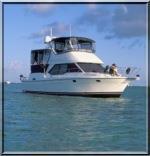 Secret Cove is well known for having some of the best fishing charters. The marina store is accessible from the water as well as by car. It’s the fisherman’s heaven of Sunshine Coast real estate. If fish aren’t your only interest, visit Cooper’s Green Regional Park. Relax with a book or picnic in the soft grass. You could work off your picnic lunch with a game of volleyball or horseshoes or a swim. There’s a public boat ramp too. Connor Park’s pathways connect hikers and mountain bikers to trails through the natural scenery of Sunshine Coast real estate. You can launch your boat from Halfmoon Bay for a ride to the secluded Buccaneer Bay Provincial Park. Wilderness camping is offered. Kayaking is good or you can hike to see what the tide pools hold. With more days of sunshine than Hawaii has each year, any outdoor adventure is likely to be warmed or kissed by that giant ball of energy. Permanent residences and summer cottages are nestled in the forest and tucked in along the shoreline. The magnificence of nature is everywhere you look. Any vista can showcase rugged mountains, lush greenery, sparkling water or all three at once. Could Halfmoon Bay real estate provide your next home? As Sunshine Coast real estate professionals, we can provide all the information you need to make the decision. Call John Thompson or Bev Thompson or Valarie Green at 1-888-740-7355 or use the form below to send an email. It would be our pleasure to help you explore the possibilities.